What does Kallum mean, details, origin, short & easy attributes? Kallum pronunciation in 20 different native languages. Kallum is a spelling variation of the name Callum, which comes from the Latin Columba, meaning 'Dove'. It became popular in Scotland when the Irish Saint Columba went there as a missionary, along with its variant Malcolm. Kallum is baby boy name mainly popular in Christian religion and its main origin is . Kallum name meanings is Form of the Latin Columba dove. 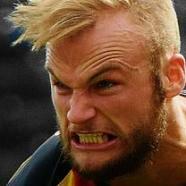 People search this name as Kallum. Other similar sounding names can be Callum. Each letter meanings in Kallum Name. Popular personalities with Kallum Name. Kallum Higginbotham is a soccer player for the Kilmarnock F.C., Salford City F.C., Oldham Athletic A.F.C., Rochdale A.F.C., Accrington Stanley F.C., Falkirk F.C., Huddersfield Town A.F.C., Barnsley F.C., Carlisle United F.C., Motherwell F.C., and Partick Thistle F.C. Kallum was born on June 15th, 1989 in Salford, England. 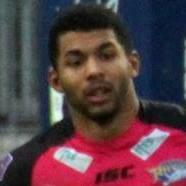 Kallum Watkins is a rugby player. Kallum was born on March 12th, 1991 in Manchester. Kallum Smith is a sports team member for the Lincoln United F.C. Kallum Griffiths is a sports team member for the Spennymoor Town F.C. Kallum Roberts is an athlete for the Mostyn Dragons F.C. Kallum Broadhead is a sports team member for the Whickham F.C.